Please tell us about your professional & academic background. Also, it would be great if you could brief us about your role in your current organization? Due to 9/11, my MS plans were left in a lurch and I ended up doing an MBA instead of an MS. A complete divergent field where the most common question faced is “WHY MBA after ENGINEERING”?! Though my MBA happened by default, Marketing was by design. I was always fascinated by Marketing right from my engineering days. While doing my MBA, I was extremely clear that Brand Management is what I want to get into. And here I’m now with more than 9 yrs of Brand Management Experience, with FMCG Giants like Hindustan Unilever & L’Oreal as well as experience in the automobile sector, working on leading brands across segments. I have handled brands from mass to premium range (Indian and International), from low involvement to high involvement categories. I was fortunate to work on a make-up brand (Mayebelline, New York) in L’Oreal during the start of my career. A girl’s dream come true! It was an amazing experience and I truely learnt how to handle an international brand and a complex category. From L’Oreal, I shifted to the Mecca of Marketing, Hindustan Unilever. I worked on FAL (Fair & Lovely, the largest skin care brand in India) and Pond’s. Levers was an enriching experience. Not only did I learn how to work on the biggest brands in the country but also how to work under tremendous pressure. From FMCG to automobile was quite a shift. I joined Mahindra Two Wheelers as a Sr. Brand Manager on Mahindra Scooters. It was a completely different ball game. I currently handle Product Launches, New Product Development (NPD),Integrated Marketing Campaigns, Brand Budgets and Profitability, Channel Management, etc. In short I’m the Brand Custodian, managing the portfolio of Mahindra Scooters. Apart from being a motivated professional, I have made an Award Winning Commercial on ‘Conserve Water’ during my MBA days. It was telecast on all major Indian TV Channels with my name displayed at the end of the commercial. It was part of the nominees list to be sent to the ‘Cannes Lions Advertising Festival 2004’. The commercial also received the ‘Best Public Service Message of the Year Award’ by the Former Chief Minister of New Delhi, Dec’05. Truly memorable ad campaigns create an emotional response — one of happiness, wonder, shock, inspiration, motivation or surprise. The Holy Grail for advertising today is the same as it’s always been: to rise above the fray of soulless sales pitches and become part of culture. Not just being recalled or remembered but hitting a nerve and becoming both share-worthy and meaningful. The magic bullet (consumer insight/ the moment of truth) is the one that makes an advertisement truly memorable. When a core consumer insight is translated into an ad campaign it hits the bull’s eye. One such campaign which is based on a very strong insight is the Dove’s ‘Real Beauty Sketches’. Based on a global insight of women and beauty, it’s extremely relatable and true. I have many ads in my favourite list; other than the Dove’s campaign, I always admire the way Cadbury, a chocolate bar can create such high levels of emotions. One such unique digital campaign which went viral was the ‘Cadbury Celebrations – Lonely Maa’. It’s simply brilliant! The Volvo Trucks – Epic Split campaign is a beautifully crafted spot and an excellent example of magnificent execution creating an intrigue and at the same time establishing the product values. It’s very important that your brand speaks to your customers at an emotional level. When someone feels a strong positive emotional tie with a product that emotion creates brand loyalty, and this inspires repeat purchase. Brand loyalty comes after consumers hear brand messages, develop perceptions of the brand and expectations for it, try the brand, and are happy enough with the branded experience that they want to buy it again and again. It’s a journey and an experience, which needs to be built through all the consumer touch points ensuring that at every step the brand promise is delivered to the fullest. Brand character is an evolution of brand identity. It is more than your logo, typeface, and tagline. It is what makes your company “likeable”. It’s about playing to a particular emotion in your customer and being able to invoke that whenever they see you.Having said this it’s not always possible to build such successful characters for each and every brand and if you succeed it’s a bonus. I believe more in Brand Characters than in celebrity endorsements. 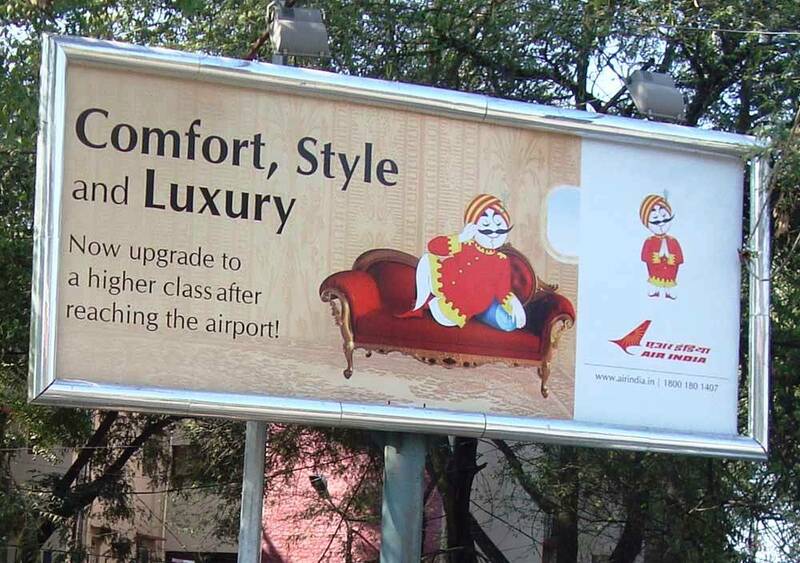 Enlisting a few of my favorite iconic Brand Characters: Air India’s Maharajah, Ronald McDonald, the Amul Girl and the Vodafone ZooZoos are classic examples of brand characters executed the right way. When you see these, you immediately develop a connect with the brands they represent and they are embedded in your memory for lifetime. What measures do you take to ensure a better brand positioning vis-à-vis your competitors? Please cite one such example. Brand Positioning is the summation of everything: brand definition, target market, competitive assessment, etc. and it all starts with a really good understanding of the Consumer. Once you understand your consumer, capturing that consumer mind space becomes simple. One such brand, which I worked for and whose positioning was debatable and yet constantly evolving is Fair & Lovely. I haven’t found such die-hard brand loyalty for any brand ever which FAL enjoys. It’s one of the most successful brands over three decades in many distinct phases. The initial launch of the product in 1976 was on the basic premise that “younger women wanted to have fairer skin in order to attract a better looking husband.” And it was positioned as a beauty cream capable of providing fairness within 8 weeks with the value proposition lucidly communicated. In the next phase of Fair & Lovely’s evolution, the brand talked to a younger college going woman who is self confident and more modern in her outlook. Later, this further metamorphosed into a brand offering emotional benefits for achievers who actively seek solutions and do not look at marriage as the ultimate source of personal achievement. Fair & Lovely thus became a brand, which communicated a message, that Fairness leading to Beauty leading to Good husband to Fairness leading to Self-confidence leading to Good career. The brand has built up credibility and a perception of quality leading to good judgments and feelings. Finally, the numerous loyal consumers of Fair & Lovely have an attitudinal attachment towards the brand, leading to high brand resonance.